Just like other industries, plastic surgery has its own innovations and cultural shifts. Some are good; some are not so good. But identifying these trends is critical. Knowing what’s happening in the marketplace will only make consumers more knowledgeable and better able to make the smartest decisions for health and well-being. So what are this year’s biggest facial plastic surgery trends? Nonsurgical procedures, including injectables, continue to increase in popularity. We’ve already talked a lot about the selfie. These glamour shots are certainly here to stay and seem to be driving a lot of new plastic surgery inquiries—and even decision-making, for better or worse. In last year’s annual survey by the American Academy of Facial Plastic and Reconstructive Surgery (AAFPRS), the world’s largest association of facial plastic surgeons, more than half of doctors saw patients who admitted to wanting to look better in selfies. But beyond just showing off a new facelift, it seems people are taking to the selfie on Instagram, Facebook and other social media forums to find a sense of solidarity. Prospective patients might surf for a flattering facelift that they’d like to replicate or to find other people who have undergone a procedure they’re considering. So while it shows up in a variety of ways, the selfie trend is an important one to keep an eye on. Nonsurgical procedures continue to explode across the nation. In fact, the average number of procedures that AAFPRS members now perform increased 25 percent in the last five years, and over four-fifths of treatments last year were categorized as cosmetic nonsurgical procedures. Patients interested in noninvasive treatments are also skewing younger. Last year, 56 percent of AAFPRS members saw an increase in cosmetic surgery or injectables with patients under age 30. This trend may point in part to the fact that plastic surgery is no longer a taboo topic. People talk about BOTOX over lunch. Millennials with disposable income are increasingly tempted by temporary beauty boosts through injectables, fillers, laser resurfacing and peels. 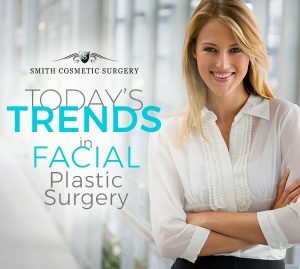 While nonsurgical procedures are certainly more popular than ever before, this trend doesn’t mean that the technology behind these “lunchtime” procedures has advanced to the point of replacing facial plastic surgery. A medical surgery like the popular mini facelift, which can be customized to each individual face, remains the only reliable way to achieve effective long-term results. Today’s competitive work environment also seems to be an important driver for those considering plastic surgery. Professionals seeking that big promotion may feel they need a leg (or face) up on others applying for the position. In fact, nearly 60 percent of facial plastic surgeons recently reported that their patients’ need to stay relevant in professional life was a major reason for seeking cosmetic treatments. And for good reason: Newer noninvasive treatments let both men and women uncover a refreshed face with little to no downtime, meaning they can return to a demanding office environment the next day—without missing a beat. Not surprisingly, eyelid procedures are a particularly hot procedure right now. This quick fix can create an instantly less tired look. While BOTOX remains the most popular minimally invasive procedure for women, followed by fillers and skin treatments, rhinoplasty continues to be the No. 1 ranked procedure in the surgical category. In fact, nose-correction surgery is the top cosmetic procedure overall among men, followed by BOTOX injections. Some 97 percent of surgeons make major nose corrections each year for patients who feel that a change in this prominent feature could make a significant enhancement to their appearance—and self-esteem. Just behind rhinoplasty is blepharoplasty, the reconstruction or lifting of the eyelids, which is no surprise given the rising popularity of nonsurgical eyelid treatments among Americans. The third most popular facial plastic surgery procedure is the facelift. In fact, the mini facelift—a quicker healing, more advanced technique than traditional surgery—is such a common sight and discussion topic on social media that facial plastic surgeries like these are no longer something to hide, but rather something to showcase. While plastic surgery trends can be empowering for those considering cosmetic facial procedures, it’s important that you don’t allow these cultural shifts to cloud good judgment. With the proliferation of unlicensed injectable centers, it’s more important than ever to choose a reputable surgeon for your facial plastic surgery or non-surgical procedure. Smith Cosmetic Surgery sees a lot of new patients after they’ve spent far too much money on alternatives that just don’t work. It’s important that prospective facial plastic surgery patients get educated and investigate a practice’s licensure, background and actual patient surgical results, when trying to find the best fit. For example, there are medical spas popping up all over, especially in states like Colorado where laws are looser around who can perform these procedures. Many don’t even require a medical director and may employ practitioners that are not properly or fully trained or licensed. Remember, just because treatments are more readily available doesn’t mean they are safe or effective. In fact, a quarter of all AAFPRS members are concerned about an increase in nonmedical staff doing procedures resulting in poor results. Dr. Smith is equally concerned for the future well-being of patients. 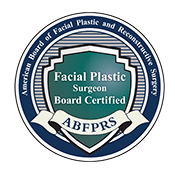 A quality, board-certified facial plastic surgeon is your safest bet for achieving the best results in both surgical and nonsurgical procedures. Start by researching the most trained and respected surgeons in your area, schedule a free consultation to ask more questions and don’t forget to check out each practice’s before-and-after patient pictures. Wondering more about trends and treatments in facial plastic surgery? 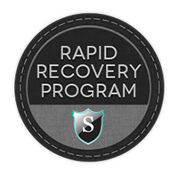 Smith Cosmetic Surgery has three decades of experience working with people just like you. Contact us to schedule your consultation, and we’ll address every question you have and guide you in your decision-making about facelifts, injectables and other facial cosmetic surgery options.